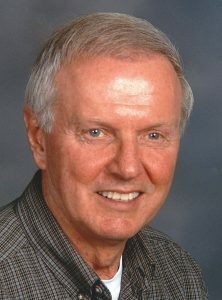 Born May 31, 1934 in Lansing, Michigan son of the late Harold and Myrtle (Ingersoll) Arnold went to be with his Lord on Saturday, February 9, 2019 at age 84. Duane is survived by a host of nieces, nephews, and their families. He was preceded in death by his brother, Wayne Arnold and his sister, Marilyn Faught. Duane served his country for 2 years in the U.S. Army, was a graduate of M.S.U., worked as a Master Gardener for Estes-Leadley Funeral Homes for years, enjoyed painting when he was younger, and will be remembered as a man who lived his life exceptionally by God; A man of tremendous faith. His family would like to extend a heartfelt thank you to Michael and Casey with Sparrow Home Hospice and also to the staff at Addie’s Acres in DeWitt for the wonderful care they provide Duane. Funeral services will be held at 12:00 p.m. on Saturday, February 16, 2019 at the Estes-Leadley Greater Lansing Chapel. Interment will follow at Gunnisonville Cemetery. The family will receive friends at the funeral home on Saturday for one hour prior to the service. Those who wish may make memorial contributions to Sparrow Home Hospice, the American Bible Society, or the Capital Area Humane Society. Duane was the most honest and dedicated employee that I ever had the honor of working with. Our deepest sympathy. My sincere condolences to the family. I worked with Duane at Estes and he shared many stories as well as always lending a helpful tip or two in gardening and lawn care. He was was the definition of “One Of A Kind”!